Undergraduate mathematics and computer science major Brian Johnson and mathematics faculty member Silvia Saccon developed a set of in-class activities to help Calculus III students strengthen their geometric understanding of multivariable calculus. 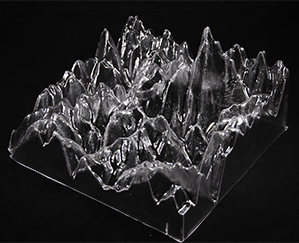 Using 3D printing at think[box], they built translucent models of a French mountain region. Calculus III students used these models, together with 2D topographical maps, to explore concepts in 3D space, and visualize surfaces and connections to 2D representations. This project is part of the Active Learning+ Initiative sponsored by the CWRU [U]Tech Teaching + Learning Technologies Team. Twisted Tower, a "modular" origami structure first designed by Japanese origami artist Mihoko Tachibana, shows unique structural and geometrical properties that allow bending, twisting, and linear motions. 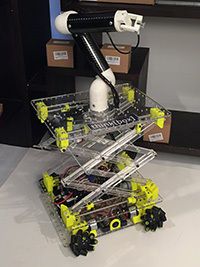 Researchers at the Distributed Intelligence and Robotics Lab at CWRU have created novel mechanisms inspired by this structure, substituting 3D printed modules for traditional mechanical components used in robotics. 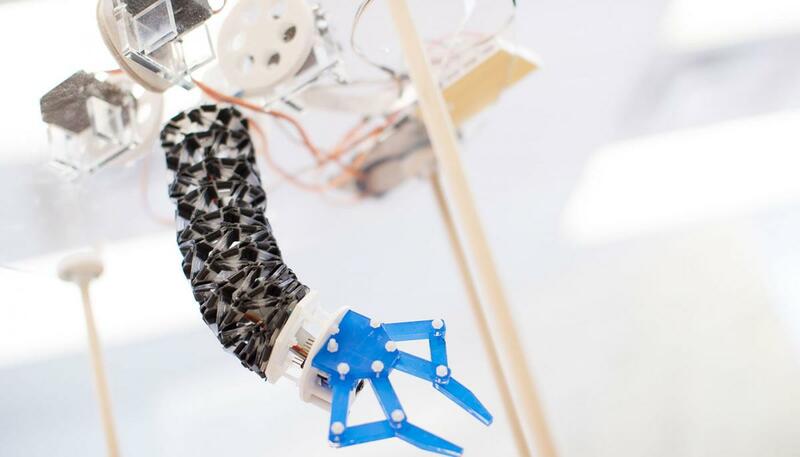 Their work was featured at the 2017 IEEE/RSJ International Conference on Intelligent Robots and Systems (IROS 2017), as well as on various online newspapers. AIMbot (Automated Inventory Management Robot) is designed to autonomously store and retrieve packages inside of a warehouse. It features an omnidirectional mecanum drivetrain, a dual scissor lift, and a 5-axis articulated arm with a suction gripper. The platform's modular architecture allows it to also be configured for custom applications. Wyat Slifcak built the first prototype at think[box]. SnoreCoach monitors your sleep position during the night. It communicates with an app called SnoreTrack (iOS and Android versions available), which listens to you while you sleep and analyzes your snore patterns to look for Obstructive Sleep Apnea. 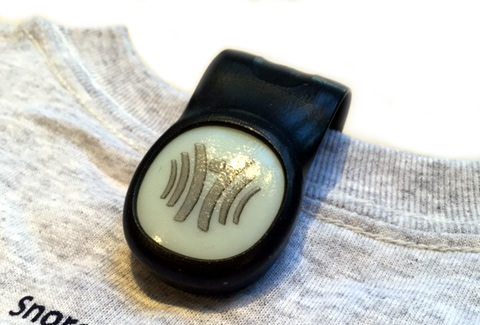 If you are snoring and are on your back, SnoreTrack sends a signal back to the SnoreCoach telling it to vibrate. A good percentage of snoring and apnea events are positional in nature, and this product combination empowers users to change their sleep habits to lessen snoring and sleep apnea. Siamogale melilutra is a newly discovered fossil otter species from Southwestern China dated to about 6 million years old. At over 100 lbs, it is one of the largest otter species known to science. An international team of scientists, including Dr. Denise Su at the Cleveland Museum of Natural History, recovered many specimens of this new species, including a complete cranium. The cranium was flattened through the fossilization process and required digital reconstruction, which took months. Through a collaboration with think[box], the reconstructed cranium was 3D printed. This 3D print of the cranium facilitated comparative analyses with other otter species (both extant and fossil). Dr. Su collaborated with think[box] to improve the resolution of the printed cranium for future research on the functional morphology of the otter. 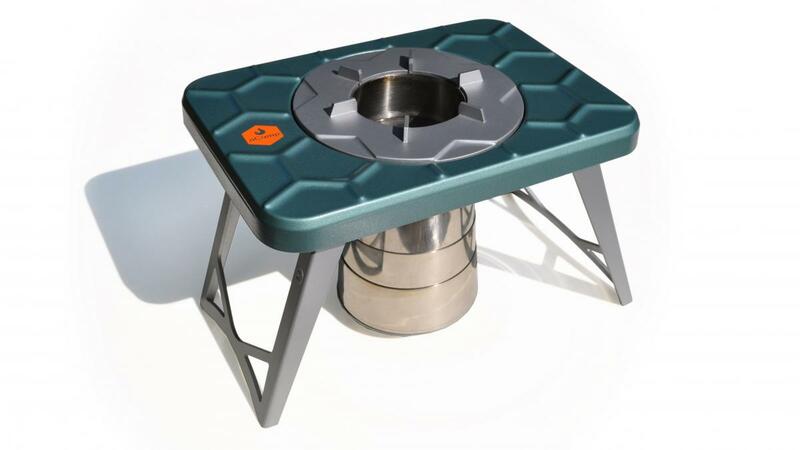 This compact wood-burning camping stove uses fuel that is readily available in forests - sticks, twigs, and other combustible material. By using renewable and readily-available fuel, this stove eliminates packaging and trash associated with canned fuel. According to the U.S. Environmental Protection Agency (EPA), about 100 million pounds of tire components discarded during the manufacturing process are dumped in landfills nationally each year because the body ply—the tire’s largest component—can’t be effectively recycled. 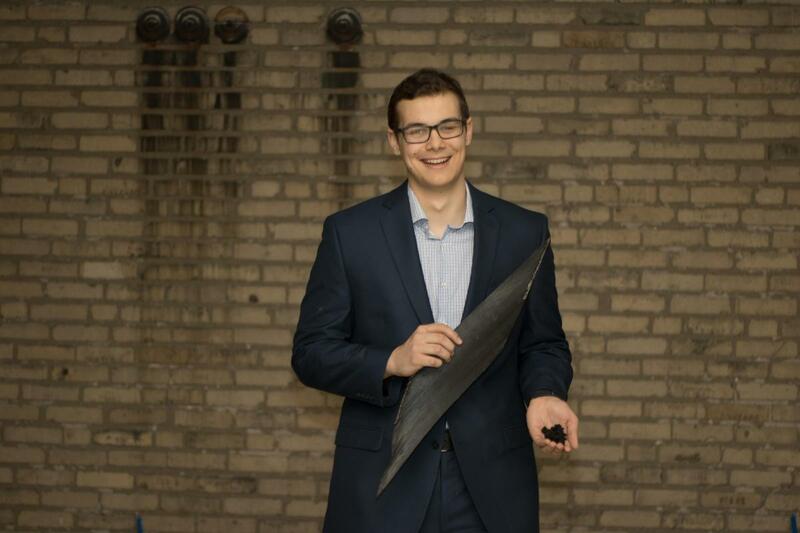 But RVS Rubber Solutions, a student startup based at Case Western Reserve University, believes it has come up with a solution to this environmental hazard - thanks to a new technology called Resonant Vibrational Separation (RVS) which extracts the rubber and steel in a cost-effective and environmentally friendly way. 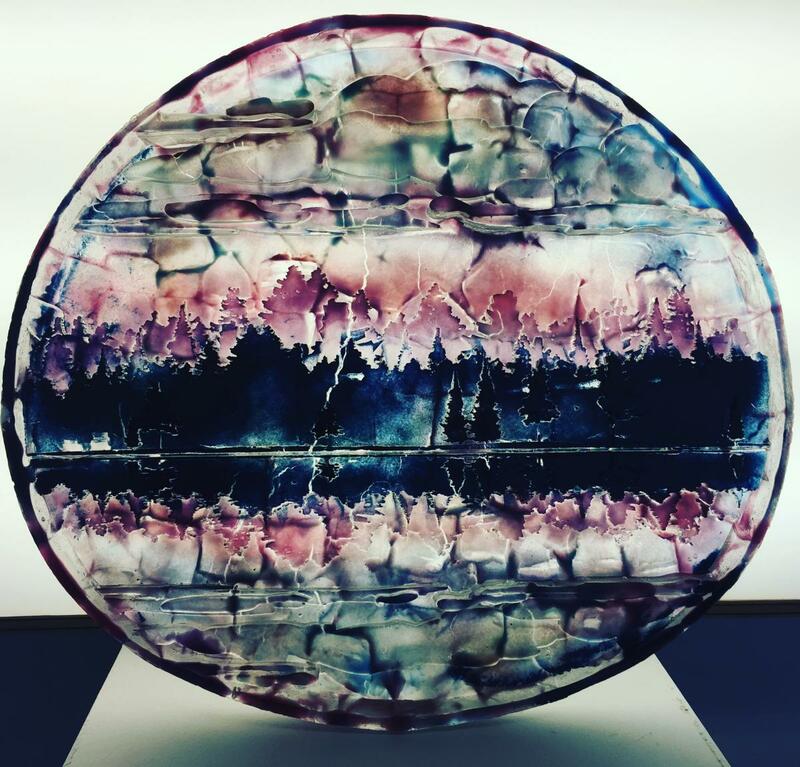 Cleveland Institute of Art glass student, Mark Rubelowsky, turned laser cut plywood into a cast glass masterpiece. Using the think[box] laser cutters, he created a multi-layered wood mold lakeside. He used this mold to make a negative out of rubber, which he then used to cast a wax positive identical to the wooden mold. A plaster and silica mold was built around the wax positive, and the wax was steamed out to empty the mold. Then, Mark filled the plaster mold with glass powder and cullet, and fired the piece. Inertial Measurement Units (IMUs) are self-contained systems that measure linear and angular motion, typically using a triad of gyroscopes and a triad of accelerometers. IMU's are used in robotics, structural health monitoring, autonomous vehicles, and more. 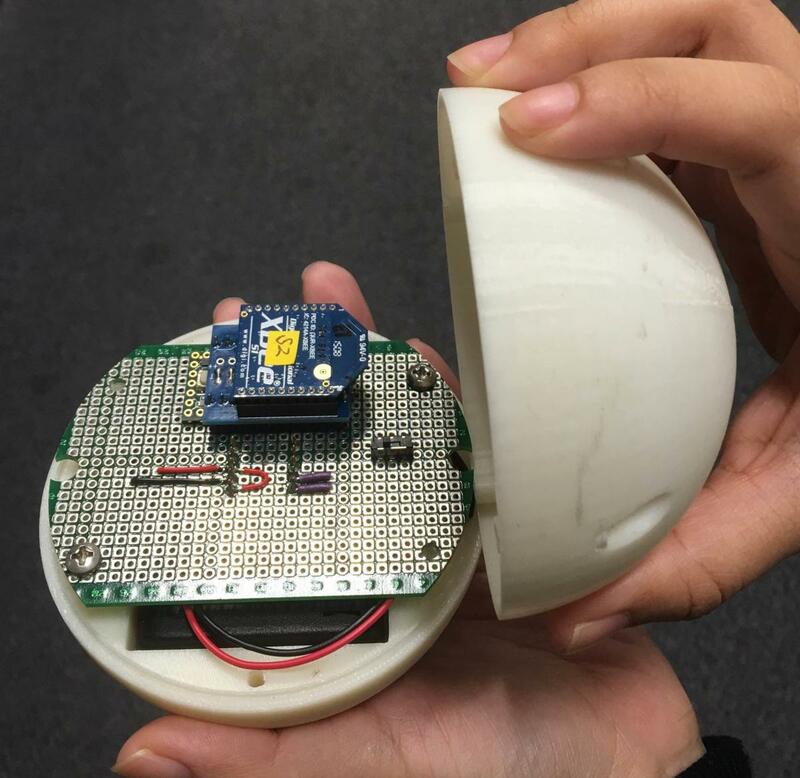 This self-contained IMU prototype uses the MPU9250 sensor package, which uses magnetic field and temperature data to compensate for the drift problems typically seen in gyroscopes and accelerometers. Data is packetized by a 32-bit ARM Cortex-M4 microcontroller and transmitted to a desktop computer using the XBee protocol. Compared to commercially-available IMU's, this prototype is low-cost (under $100), low-power (less than 330 mW including the wireless transmitter), and miniature. Research is underway on novel approaches to further minimize sensor drift and improve accuracy. The Reflexion Edge is a portable, affordable, and fast concussion screening solution. This prototype was displayed at CES 2017 where over 160 news articles and social media posts reported on it. It is capable of monitoring a host of neurocognitive and psychomotor functions including depth perception, peripheral awareness, balance, complex reaction time, and memory. A user stands in front of the device and interacts with light patterns that appears on the device by touching the integrated touch screens. Data is collected during a thirty second trial that is performed weekly. Deviations from a developed trend line are used to spot potential concussions and pull athletes from play.